An investment in food security programs can have a significant and lasting impact on the people who depend on coffee for their livelihoods. Coffee collaborations are a powerful force. We’ve built partnerships with amazing coffee companies, from small retailers to large roasters and importers. Together, we’re working to address food insecurity in coffee-farming communities, so that all members of our industry can thrive. Coffee is one of the most highly traded agricultural commodities in the world. Annually, the value of coffee sales exceeds $85 billion, with coffee employing over 125 million people worldwide. Investing in food security programs in coffee-producing communities can have a real, significant and lasting impact on the people who depend on coffee for their livelihoods – and their communities. Here are some of the people and companies who are making this work possible. 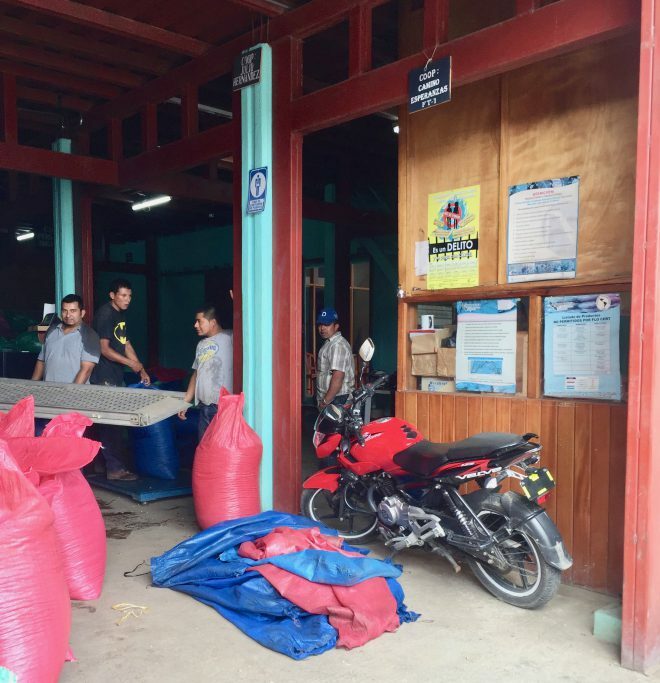 Café Moto has been buying Fair Trade & Organic coffee from Las Hermanas, a women’s cooperative and part of the SOPPEXCCA organization, since 2001. Cafe Moto has invested $10,000 in healthier local food systems by financing SOPPEXCCA’s conversion of part of its headquarters into a brand new organic market facility. In spite of the political unrest in Nicaragua over the past several months, SOPPEXCCA has been able to buy the supplies needed to begin renovation, and plans to have the new facility up and running in 2018. This physical space in the heart of Jinotega, a city of 97,500 residents, will give co-op members a central spot to sell their organic produce, making fresh, nutritious food available to everyone in the community. San Francisco-based Philz Coffee is putting farmers front and center by donating a dollar amount from every pound of coffee it buys. This commitment, at the highest level, is having a direct, long-term, positive impact on thousands of coffee farming families across Latin America, ensuring that they have the resources they need to supplement their income and access or grow fresh, nutritious food. 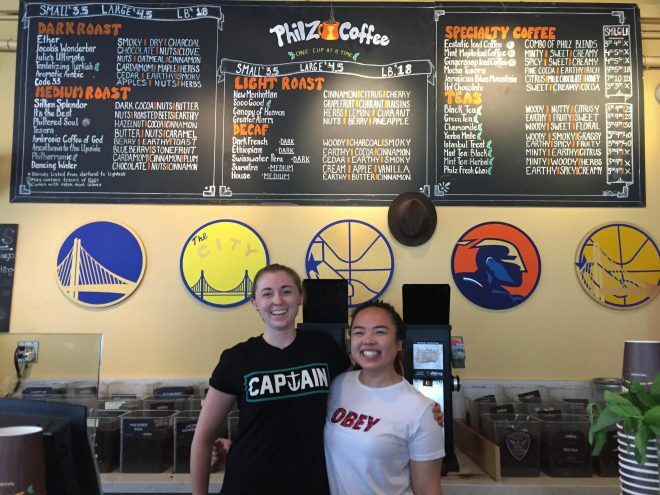 In communities where Philz is investing, coffee farmers are adding organic food crops,, clean water management systems, eggs for protein, farmers markets, and new business skills to help their new ventures thrive. 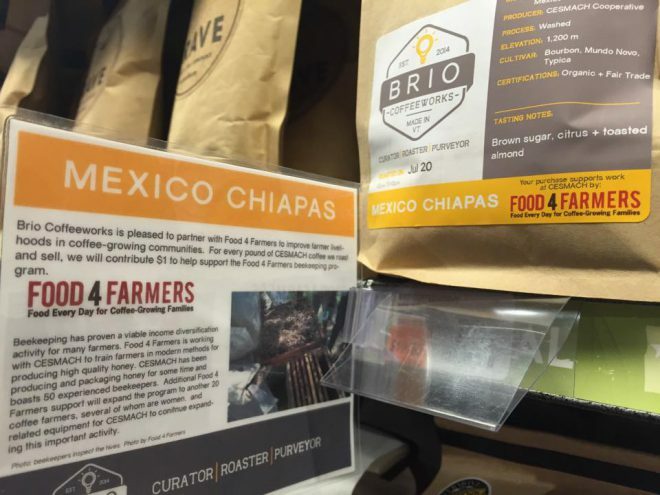 Our friends at Brio wanted to give back to the communities where they buy coffee. 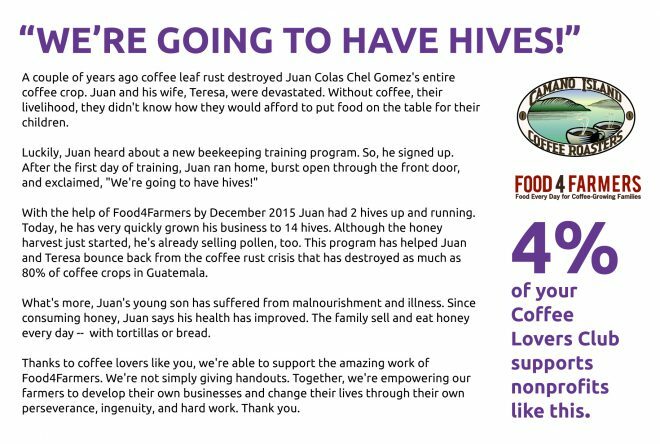 So, they’re donating $1 per pound of their delicious Mexican Chiapas coffee to our food security work with the Cesmach coffee cooperative, building better livelihoods through beekeeping. Brio’s also helping get the word out to their customers about the challenges coffee farmers face, and our work helping them address those challenges. In terAmerican has been a wonderful partner since our early days. InterAmerican’s Kayd Whalen is our Board Vice Chair, and a fantastic advocate and ambassador for Food 4 Farmers’ mission to help coffee-farming families improve their livelihoods and nutrition. 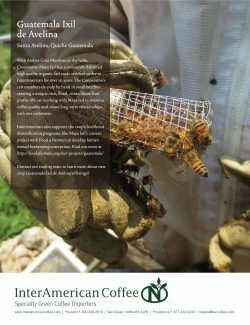 Along with supporting our organization as we grow, InterAmerican is providing financial support for the Maya Ixil coffee cooperative in Guatemala, where we’re working with 190 coffee-farming families to help them build new beekeeping businesses that will deliver reliable supplemental income and replace processed sugars with healthy honey. 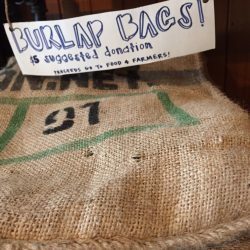 U ncommon Grounds is a popular roaster-retailer in Burlington, Vermont that sells burlap coffee bags, donates the proceeds to support our food security programs, and matches those customer donations. UG also hosts some very cool events to support our work throughout Latin America. Camano Island is helping coffee farmers build successful supplemental businesses. A portion of their Coffee Lovers Club sales support two communities: Nuevo Futuro, which is starting chicken and egg production to help families increase and diversify their income and improve nutrition; and Maya Ixil, which is using beekeeping to build thriving small businesses for coffee farmers.